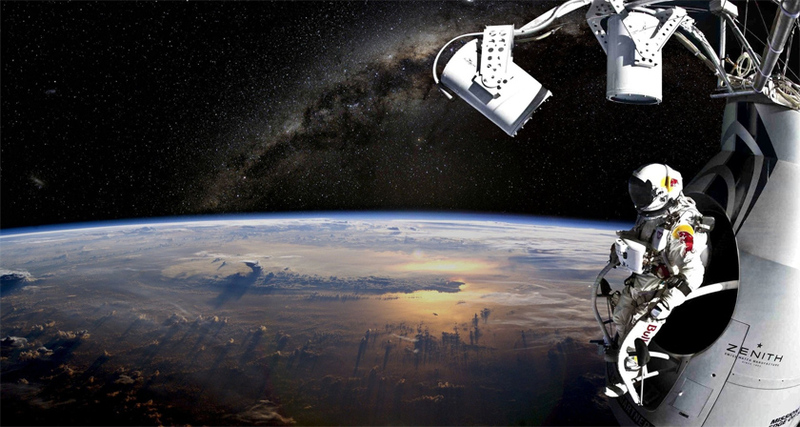 In Stratos, performers and audience members alike experience the dramatic scope of Felix Baumgartner's mindset before he became the first man to jump from the edge of space back down towards Earth. An enigmatic soundbed heralds the beginning of this journey, navigating through driving rhythmic patterns simulating the tension of this historic event with an insurmountable level of energy that translates through every key moment; amplifying the stakes as this musically visceral production captures the enthralling sensations of Felix's ascent and literal descent into the unknown. “You take one deep breath.You do this one step forward. And this is a step into the unknown."